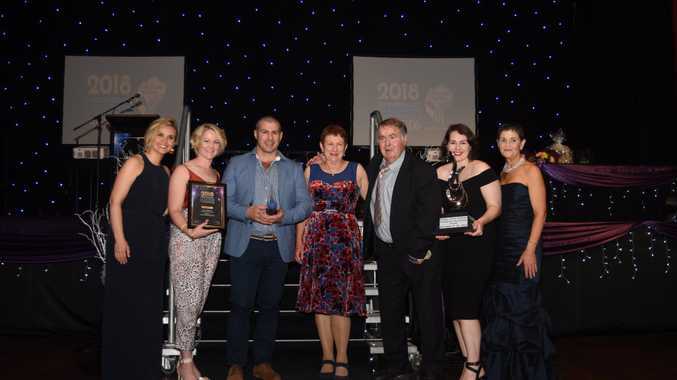 PORTERS Plainland Hotel has taken out the Lockyer Valley's top accolade at the 2018 business, training and apprenticeship awards. The awards were held on Saturday night at the Gatton Town Hall. It was the first time Porters Plainland Hotel has won the accolade. Hotel manager Michael Porter said it was great to be recognised. "We certainly didn't expect it, (the award) was very humbling," Mr Porter said. Porters also took out the food and dining award. Killing Time With Coffee took out the Mayor's award and doctors surgery Family Health Clinic, Gatton was awarded the Heritage Bank People's Choice Award. For a full wrap up of results, see Wednesday's Gatton Star newspaper.